I have been working as a performance storyteller for almost ten years but before that I was an actor. 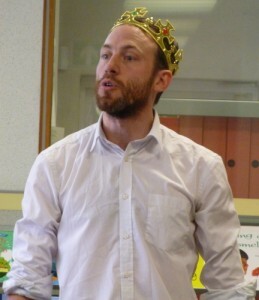 I did a few bits and pieces in theatres and went to Edinburgh a couple of times but generally speaking my work was doing Theatre in Education and Children’s Theatre in schools. 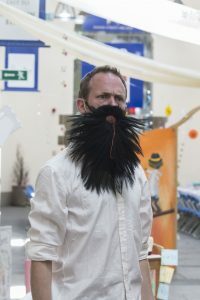 Theatre in Education wasn’t quite what I’d anticipated during my classical drama training but perhaps I went to my first TIE audition thinking of it as a way of getting paid for what I’d trained to do whilst waiting for my “big break”. The way it worked was that after an intense rehearsal period the cast piled into a van and toured the schools of Britain with either an agenda lead piece of theatre or something more light hearted (ie a panto). 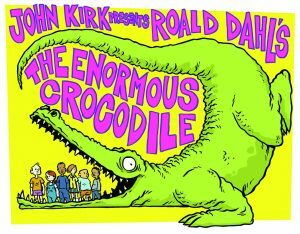 The shows were generally pretty short to fit into the school timetable and were often followed up by workshops lead by the actor-facilitators. Now, you must remember that at this point I am not a lot older than the “children” I am working with, I have no formal teacher training and I can be an impulsive hothead so facilitating felt like being thrown in at the deep end. It was steep learning curve. 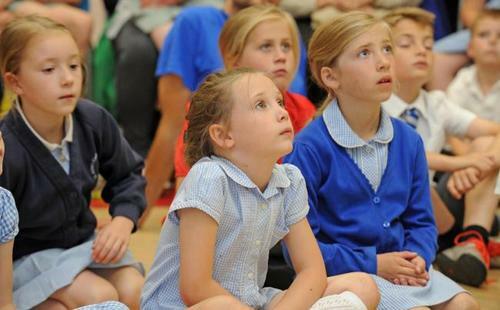 Sometimes we were offering children their first theatrical experience, sometimes we were enhancing their curriculum. Sometimes the children liked you, sometimes it was very intimidating. The production values could vary from a enormous rotating sets to a bit of curtain hanged on some plumbing pipe but the creative energy of some of the companies I was fortunate enough to work with is incredible. I learned a huge amount about working with young people from Chris Geelan at The Young Shakespeare Company, Bill Davies at Blunderbus and Adrian New at Stopwatch Theatre to name a few and 6 days a week on the road soon became a way of life that I am still passionate about today. After I met Lauren my life had to change and I stopped the acting but I continued to pick up facilitation work with people like Bromley Mytime and Eastside Educational Arts Trust and I continued to learn from people like Naomi Cortes at Almeida Projects and the brilliant Alison Banham at Act on Info. 16 years later I am a far more confident drama facilitator and have developed my own style of workshop which incorporates storytelling, drama games and role play. The themes of the sessions have varied from the Aztecs and Evolution to Shakespeare and School Transition but I try to approach every session the same way; enthusiasm, loads of games and fun. Why am I telling you this? 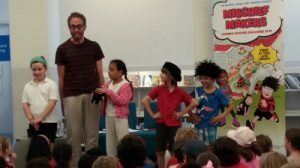 Well, it turns out that when you do 100-150 library presentations a year people forget that you offer school visits. What once represented 80% of my work now accounts for 35% and in spite of the fact I advertise on websites like findaschoolworkshop.com and schoolworkshops.com I still get asked if I do school work. I have dropped the ball on what once was my bread and butter and now I’m running to get back into the game. So let me shout it from the rooftops “I do primary school visits!”. 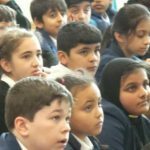 I offer my assemblies, class group workshops and event day bookings (National Storytelling Week, World Book Month, school fetes, Well Being Days, school library openings etc). In schools I have worked one to one with children or with as many as 500 children in a sitting! I have been to schools for an hour I have done residencies. 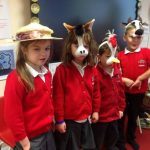 I can offer traditional tales and published stories including Roald Dahl and Dennis the Menace and I can be as interactive as you like depending on the needs of the group. 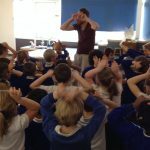 I have never written a book but I can guarantee that primary school children will enjoy my sessions and be inspired by my sessions (they may even learn something about writing stories!). “The whole day was great from start to finish. Working with you has been a pleasure and we were really grateful for how flexible and accommodating you were with both your time and the topics you covered. Speaking to children from across the school after the event itself they thoroughly enjoyed it and are already asking when you will be coming back”. Schools and school visits have been a big part of my professional life and as the nation goes back to school full of hopes and ambitions for the year ahead it’s my hope that it won’t be long before I’m off to do my first school visits of the new academic year. For more information about my work please review my FAQs or to make an enquiry contact me.